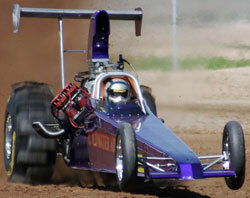 The National Sand Drag Association (NSDA) has released information in regards to the remainder of the 2010 race season. Due to circumstances out of NSDA’s control, the remainder of the 2010 race season has been canceled. We are saddened by this development, and wanted to inform everyone in a timely manner so that our racers can plan ahead to compete in other events throughout the rest of 2010. Thank you to all of our racers & crew for all of their support. 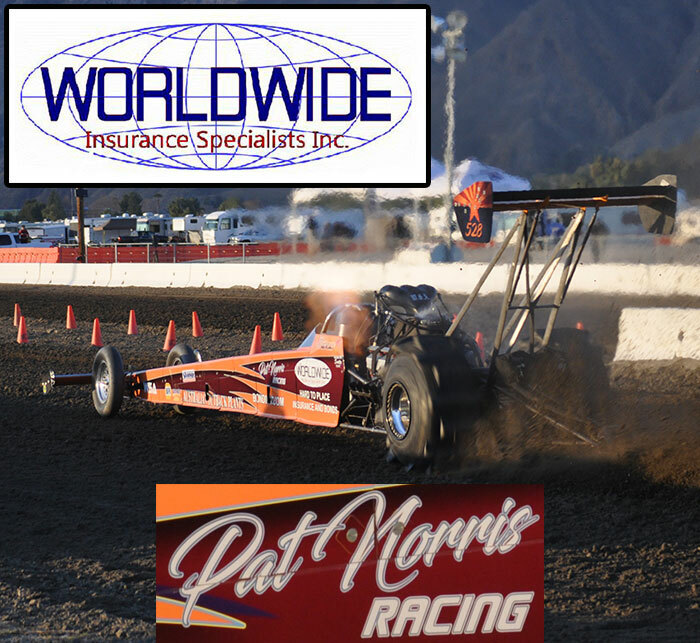 Dome Valley Raceway in Wellton, AZ has partnered with Swag Racing & The AZ Top Fuel Group to put on the Dome Valley October Showdown on October 23 & 24, 2010. This event will feature the normal Dome Valley classes, ranging from Top Fuel all the way down to the Junior classes. Test and Tune is also available for those just looking for test passes. More details will be released in the coming weeks. For more info; contact Mike Erwin at 928-941-0335, Ernesto Juarez at 928-503-9675, or Charlie Lowe at 623-340-8209. 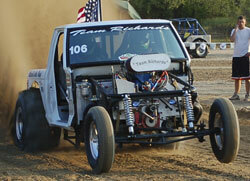 Big River Sand Drags in Bonne Terre, MO played host to the 2010 Season Finale for the Pro Truck Nationals series. A great group of races made the long haul to Missouri & put a great show for the packed house at BRSD. Lone Star Graphics was once again on hand shooting great photos as always throughout the weekend. Let’s take a look at some of the standouts from the weekend’s racing. 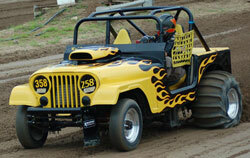 Thunder Valley Sand Drags in Grain Valley, MO is readying for the Sho-Me Fall Nationals coming up Sept. 9-11. This event is shaping up to be a great one with strong TA & TE fields. Read on for full details on this upcoming race. NOTE: Videos & Run Sheets are now online. The 2010 Pro Truck Nationals series is now in the books, and we have a first time Pro Truck class champion in Dave Kramer. Dave fought off a tough field of racers, and clinched the championship with a runner-up finish in the Pro Truck class. The night’s Pro Truck winner was Kip Martin, who ended up with 2nd place finish in 2010 PTN Pro Truck standings. Brian Ambs completed a sweep of the Inaugural season for the PTN Pro Outlaw FE class, defeating Brian McWethy in the final round. Will Sutton came up with the big $1000 to win Comp Eliminator class victory over Eric Gallay. Rob Scheytt with the Bad Frog Top Alcohol Dragster made two exhibition passes, his best netting a new track MPH record with a 128 MPH blast in 2.69 seconds. Other big winners on the night included Jason Waller (Pro Index), Art Gordon (Outlaw ATV), Matt Ewing (Unlimited ATV), Miranda Kling (Super Pro ATV), Justin Kuhns (Vehicle ET), Damion Morgan (Juniors), and Bennett Dozeman (Peewees). The month of July has flown past us, and it’s time to wrap up that month of racing as well as look forward to what is ahead in August. July was highlighted by the biggest race of the Michigan season, the traditional U.S. Sand Nationals at West Michigan Sand Dragway in Mears, MI. For the second year in a row, the Pro Truck Nationals series was contested along side this large event. All of the draws to this race made for an exceptional turnout, right up there with the biggest I have seen all year long. The PTN series did a great job putting on their part of the show, and promoting it to draw in many out of state racers. The north pit area was so filled with out of state & out of town racers that it brought back memories of years past. It definitely shows that there is still enthusiasm and excitement out there in our great sport. WMSD’s crew did a great job putting on the show, and a nice spectator crowd was on hand to experience it. This definitely was one of the highlight events of the 2010 race season. The 2010 edition of the West Michigan Sand Dragway U.S. Sand Nationals featuring PTN Race #3 definitely went off as one of the biggest events of the race season to this point. Over 200 entries took part throughout the weekend going for the big PTN money as well as the coveted U.S. Sand Nationals victories. The PTN & WMSD crews fought through adverse weather conditions, and ended up putting on a great show that culminated in spectacular final eliminations on Sunday. Let’s recap all of the great action from this event. Thunder Valley Sand Drags in Grain Valley, MO has been plagued with inclement weather all season long, but was finally able to get some decent weather & another race in on July 31. Big winners included Bill White in the Pro Comp class and Charlie Curtis in Pro 1 ATV. TVSD is gearing up for their upcoming Show Me Fall Nationals on September 9-11. NSDN will be on-site with coverage of that special event at TVSD. Read on for full race results.